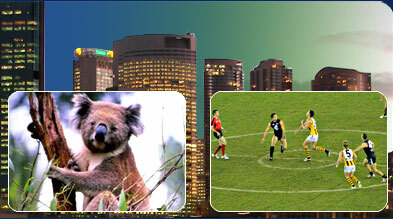 The standard of living in Australia is comparatively higher than the rest of the world. Though there is still a disparity among the citizens of Australia regarding living standards. Australia is also home to a number of Aboriginals who have been for over the years marginalized by the European settlers. This marginalization has led to a huge difference between the living standards of the Europeans and the indigenous tribes. There is also a significant disparity in the living standards of the Australian city dwellers and the rural dwellers. Australia has one of the most prosperous economies in the world. This economic growth is also well reflected in the lifestyle of people. Cities like Melbourne and Sydney has an eclectic and vibrant lifestyle. World Bank has acknowledged Australia as one of the richest countries of the world in 1995. In the year 2006 the GDP is $1 trillion. The growth of the economy is about 3.3 % per year. The Purchasing Power Parity or the PPP of Australia is one of the highest in the world. According to the figures of 2004 the PPP of Australia is $30,700. With the high growth of Australian economy the country has maintained a low growth rate of inflation and interest. The government of Australia invests highly in the social and health infrastructure. Australian high living standards and facilities are also the reason why the country attracts such a huge number of foreigners each year. The huge rate of migration from various countries of the world has turned Australia into a melting pot of various cultures. Initially it was only the English who had migrated into the country but after the Second World War the scenario changed significantly. Since 1950 there was immigration from all over Europe and later Immigration from Asian countries also took place. The growing economy, the easy lifestyle and trouble-free immigration procedures are the main reasons behind this. The Organization for Economic Cooperation and Development organization claims that in the last 15 years the growth of standard of living has been phenomenal in Australia. Within a few years Australia has surpassed the eight countries and is just left behind United States. The standard of living of a country is assessed mainly by three factors its resources, well being of the population and standard of living. The educational facilities and the health services are one of the best in this country. The World Health Organization also certifies this country for having a very low crime rate than most parts of world.